This Pic of the Week takes us to Minnesota, where I was born and raised, and to another bridge used for target practice: The Broadway Avenue Bridge, spanning the Minnesota River, carrying MN Hwy. 99 in St. Peter, located 13 miles (26 km) northeast of Mankato. When we think of historic bridges, we think of roadway bridges built of metal or stone, having truss, arch, suspension or beam designs, each of which has a well-documented history pertaining to the date of construction and the builders, as well as its significance to the community and infrastructure. 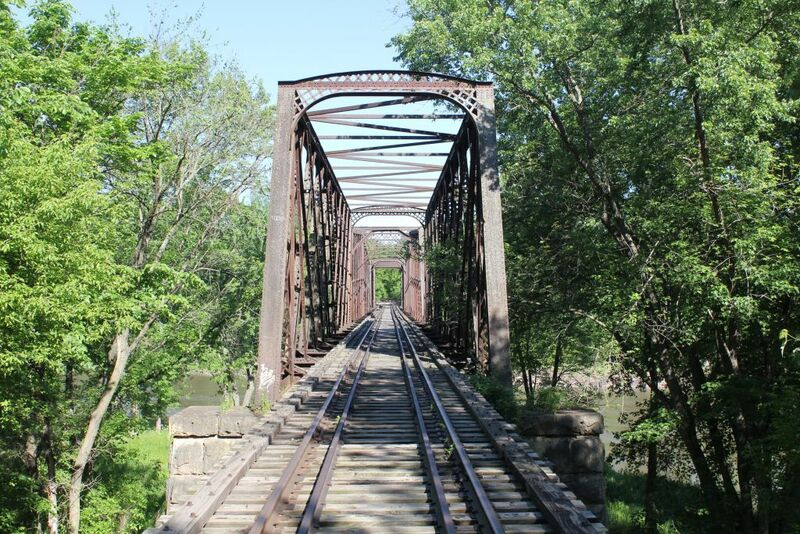 It is rare to find history of railroad bridges that had made a different in a community…..
….that is unless you are John Marvig. BHC: What got you interested in historic bridges; in particular, railroad bridges? Marvig: When I was a kid, there was a bridge on I-494 in South Saint Paul known as the Wakota Bridge. That old tied arch structure always interested me, and I always took note when we drove to my grandparents farm in Wisconsin. Along the way, there were a number of other bridges I would take notice of from a young age. When I was younger, I had also wanted a model railroad. One thing led to another, and I would be taking pictures of a local railroad bridge by the fall of my 6th grade year. It grew from there, and became a full blown passion (or obsession, depending on how you look at it). Another bridge, an old railroad swing bridge located in my hometown of Chaska was always fascinating to me, since it only continued to exist in memory. Seeing the history that was lost really encouraged me to peruse my passion. North Redwood Railroad Bridge. Photos taken by John Marvig and avbailable via website. Marvig: Creating my website was an idea that was formulated in a 7th grade technology class where we learned basic coding. John Weeks runs a website with numerous bridge photos on it, which also captivated my interest. From an early and very basic website to the full blown site it is now, it has steadily grown. I have well over 1000 bridges documented, I am just waiting to get the pages created! The hardest part is coding the pages. I manually code them, instead of using a form which automatically creates the pages (similar to Bridgehunter). This allows me the flexibility to change pages to meet the needs of the specific structure or the intended audience. However, this can be very time consuming. A page I have been working on for the Eads Bridge in Saint Louis took nearly 4 hours from start to finish to create. I continue to anticipate the site growing steadily. I have a waiting list of pages to add of over 350, and that list grows often. BHC: Your focus on your website is railroad bridges. What makes them special in comparison to highway bridges? Marvig: Railroad bridges, in my opinion, are the pinnacle of American engineering. While highway bridges were not built to carry a heavy load, railroad bridges were constructed to carry a load of many times a typical highway bridge. This results in some bridges that are engineered to perfection. In addition, railroad companies rarely reported construction of bridges and oftentimes did weird things such as relocation of spans. This makes it a unique challenge to document and research these structures. BHC: Many railroad companies try to repel photographers and bridgehunters from photographing RR bridges. Why is that and how did you successfully managed to do that? Marvig: Railroad companies are afraid of the liabilities of people being on their property. I have gotten around this by using public access, asking other landowners or walking along the riverbanks to the structure. My most important goal is to stay safe and set a positive example for others. BHC: Set a positive example- what examples? Marvig: Two ways to look at this. The first is safety and to obey the rules. Walking on railroad property or bridges is very dangerous, and I try to use it as a last resort to get to bridges. On my site, I generally make notes of how I got to the bridge so others will hopefully follow that route. The other positive example I like to set is the strive for preservation and passion I demonstrate. I hope this spreads to others and we can see a positive turnaround in bridge preservation. BHC: Did you have any confrontations with landowners accusing you of trespassing or other items? Many bridgehunters have dealt with this problem over the years- yours truly included on many occasions. Marvig: I have. While I generally find that landowners are more than happy to talk to myself and my father, who often accompanies me on these trips, I have seen some people I hope not to deal with again. I would say 90% of people are nice and usually interested, and oftentimes tell their life story. I have however had instances of some real cranks. I’ve had hunters “accidentally” shoot my direction, I’ve had ladies in trailers yell at me because I’m parked on a public gravel road and I’ve had others claim a public road is theirs. However, a vast majority are some of the nicest people I’ve met; and in a few cases people I’ve kept in contact with. BHC: Bridge historians, like Eric Delony have often mentioned of railroad companies being very hesitant re. 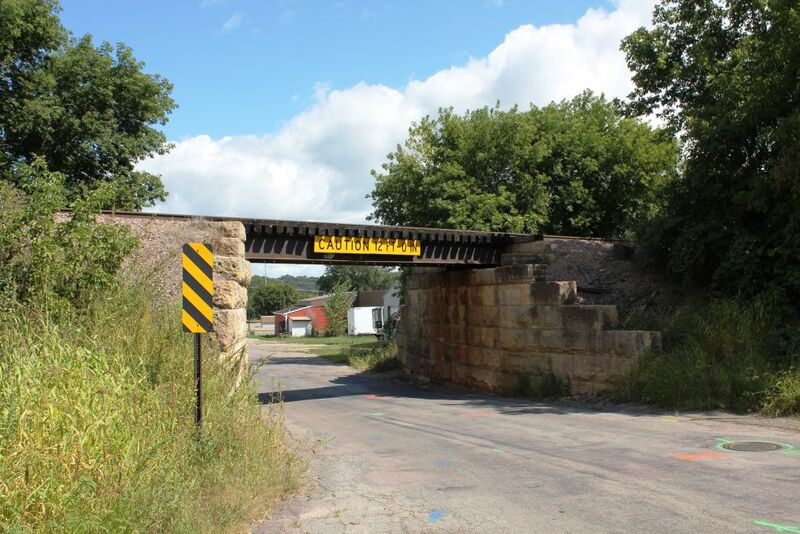 nominating railroad bridges deemed historic on the National Register because of their historic significance. From your experience, is this the case and if so, why is that? Marvig: This is true. One example is the Redstone Bridge in New Ulm, Minnesota. The railroad has refused to nominate the structure repeatedly, even though the state attempted to get them to. This structure is an 1880 swing span, and one of the oldest known in America. Despite this, if the railroad chooses to demolish it, nobody can do anything about it. Fortunately, the State of Minnesota has said they will not let Canadian pacific demolish the structure, and when it is abandoned it should be preserved. Redstone Bridge spanning the Minnesota River in New Ulm. BHC: Is the Redstone Bridge still in service? For more on the bridge, please check out the Tour Guide on the Bridges of New Ulm by clicking here. People in New Ulm as well as officials at the State Historic Preservation Office in St. Paul are interested in saving this bridge and nominate it on the National Register of Historic Places. BHC: What can be done to convince railroad companies to nominate their bridges to the Nat. Reg. as well as restore the bridge for future use? What examples have been mentioned? Marvig: In my opinion, the only real thing that can be done is to make it worth it for them financially. If an incentive was offered to a railroad to bypass historic bridges and preserve them, I’m quite sure they would be willing. 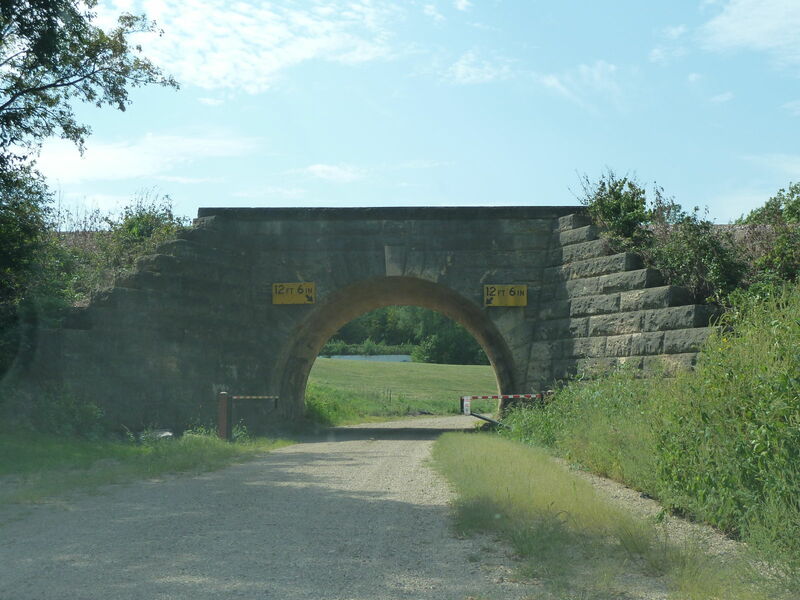 BHC: Which RR bridges have you been involved in which has been successfully inducted into the National Register? 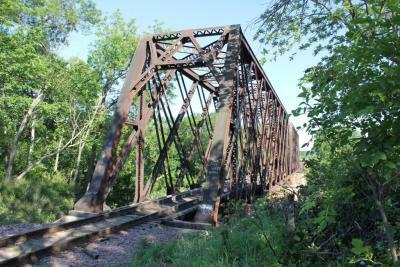 Marvig: While I do not believe any of the bridges I’ve helped preserve are listed as a separate listing on the NR, the railroad bridge across Main Street in Carver, MN (about 10 minutes from home) was to be demolished in 2011, but I worked with the city to preserve it. I believe it might be listed as a contributing resource currently. BHC: Which RR Bridges you were involved in was converted into a Rails for Trails Crossing? Marvig: Currently, I have not had any converted to trails. However, the bridge in Carver is eventually scheduled to become a trail. In addition, I’ve been working with the Midtown Greenway in Minneapolis to preserve and convert the Short Line Bridge. The Missouri River Bridge in Bismarck is another example of a structure I am working to get preserved for this use. BHC: Which Railroad Bridge is your all time favorite? Marvig: It’s hard to determine what my favorite bridge is, as there are a large number of structures I love. The Redstone Bridge in New Ulm, as well as the northwestern bridge in Eau Claire are two of my favorite bridges. These were both built in 1880 and are extremely old examples of rare truss types. Chicago and Northwestern Viaduct in Eau Claire, Wisonsin. This quintuple Warren deck truss bridge is now a bike trail crossing. BHC: If there is a person who is interested in bridge photography, what tips would you give him/her? Marvig: As for tips for others, I would suggest starting with places you have passion for. If there is a bridge in town that you want to know more about, go take some pictures. Unique and historic bridges are going the way of the dodo bird in the United States, and photography is a form of preservation. BHC: And what about establishing a website like you have? The last question includes the use of social media, wordpress and the question of making a magazine out of it. Marvig: To create a website, be prepared to have a large chunk of time taken up. The initial coding is tough, and manually adding pages is a long process. Research is also essential. I think I’ve spent several hundred dollars on research since 2010, as google doesn’t provide all answers. My biggest advice though is to create your website to be expandable. Make sure it has as many features as you want. I have 1200 pages on my site currently, and I’m working on reviewing and adding new features to these pages. It’s a lot easier to correct 12 pages than 1200. Regarding social media, that isn’t my strong point. However it is essential to be able to reach out to a new audience to educate and inform about historic bridges. When I first started doing bridges in 2009, social media was a rather new invention, and I did not invest time heavily in it. Currently, I spread my message of bridges through both Facebook, and Instagram. BHC: Thank you for your time for this interview. Four-span Camelback through truss reopened to traffic after a two-year rehabilitation program. The lower stringers were removed from the bridge, thus leaving the truss superstructure as a skeleton. They were replaced with new, modern ones with thick I-beam frames that would withstand the extremeties. The original ones were so corroded that they could not be salvaged. In addition, the piers and footing of the bridge were replaced. This was done by lifting the bridge span onto towered scaffolding, allowing the workers to replace the gusset plates, lower beams and the piers themselves. All of the gusset plates and most of the piers and abutments were replaced, thus giving the bottom half of the bridge a new modern form. Once the bridge spans were placed back onto the newly built piers, new concrete decking was added, as well as new coat of paint on the trusses, and finally new railings and lighting. A photo gallery of the whole project, courtesy of the City of Bloomington, can be seen in detail by clicking here. However, a few pics from the gallery were taken out to show a preview of how the project was completed. All photos courtesy of the City of Bloomington. Used with permission. Just recently, as I was looking for some information on some historic bridges for a book on one of the rivers in Minnesota, I happened to stumble across this bridge by chance. 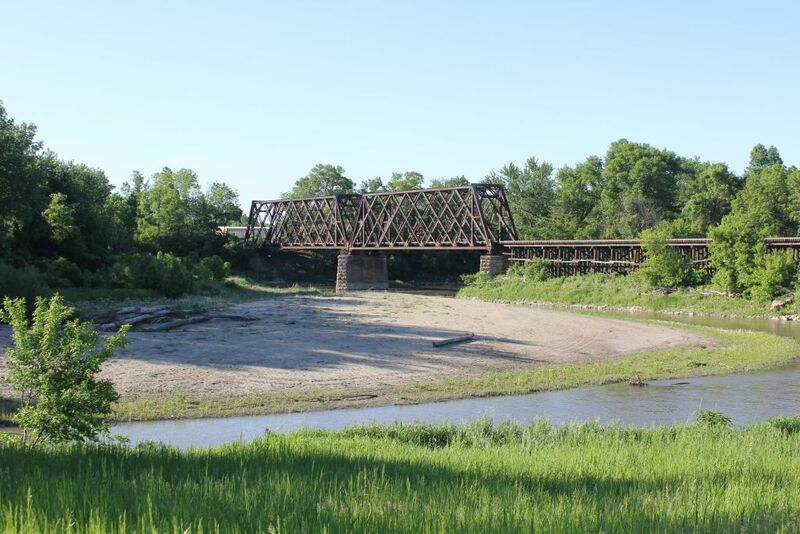 Located over the Minnesota River south of Fort Ridgely State Park, the only information gathered from an inventory of all bridges constructed in Minnesota revealed that the bridge was built in 1905, carried a township road, and was 259 feet long. I bundled that bridge (known to locals as the Hinderman Bridge) in with my other bridge inquiries to MnDOT, only to receive this black and white picture from 1941. As you can see in the picture, the bridge was a two-span Pratt pony truss with pinned and eyebar connections. According to information from MnDOT, with the construction of the MN Hwy. 4 Bridge to the northwest and a new bridgeat County Highway 13 in 1987, it was determined that the truss structure was rendered useless and was therefore abandoned, taken off the road system and most likely ended up in the back yard of a private farmstead. Using Googlemap, it is revealed that the bridge no longer exists, as it was removed at a certain date, even though it is unknown when that took place, let alone why it happened to begin with. 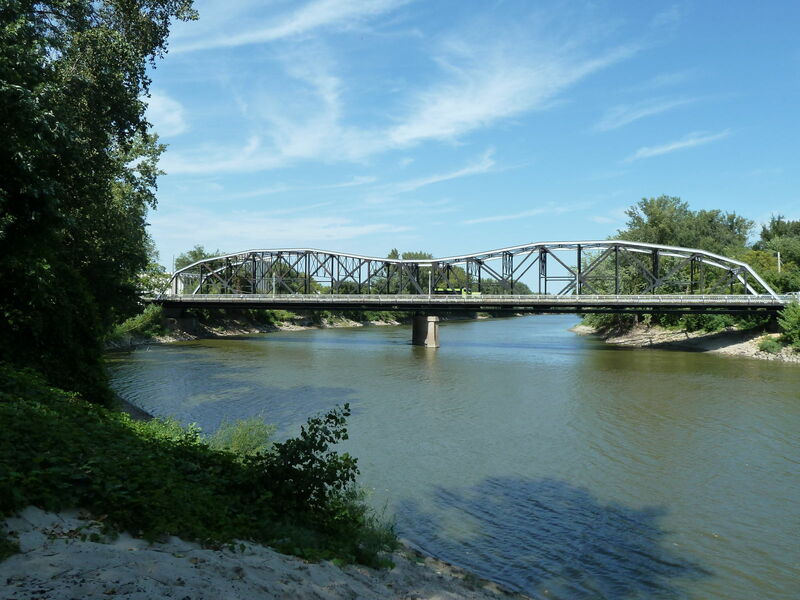 The bridge was named after Captain Hinderman and was once a popular ferry, connecting Ridgely Township in Nicollet County and the village of Home in Brown County. 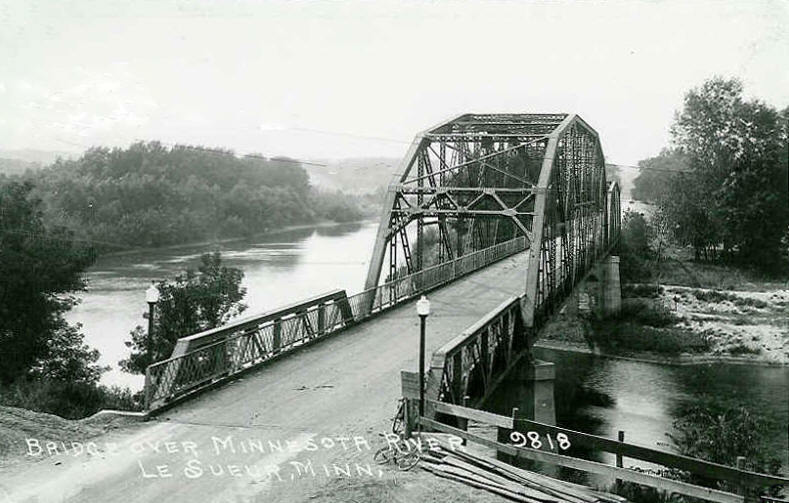 In 1905 the state appropriated $1,800 for a new crossing to replace the ferry, and the bridge was later built under the direction of Captain Hinderman and William LaFlamboy on the Nicollet side and Hans Moe from Sleepy Eye on the Brown side. 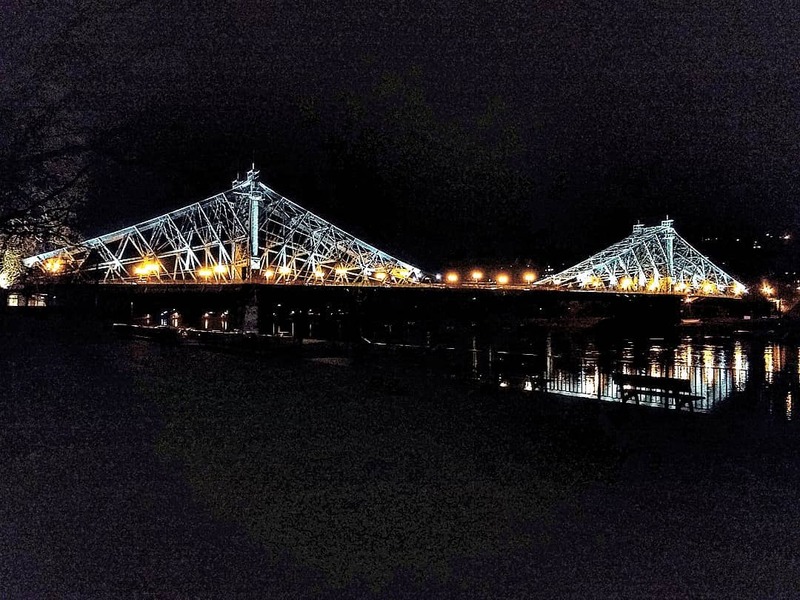 It is unknown where the steel was fabricated and who the bridge builder was, but it is likely that Hinderman and local residents may have ordered the structure from the bridge builder and it was shipped to the location to be assembled. Information from a source with relation to the Hinderman family revealed that the bridge was washed out by flooding in 1951 but was later rebuilt at the exact location. But more concrete information came from the great-granddaughter of Captain Hinderman in 2012, who revealed that the bridge had been in service for 82 years before it became a liability for Brown County (which had own the bridge) because of a weight limit of three tons and was later closed to traffic in the fall of 1987. More information about the bridge can be found through John Weeks’ website here. 1. Who provided the steel and was contracted to build the bridge? 2. When was the bridge removed and why? 3. When was Hinderman’s Ferry in service, and how long did the village of Home exist? Any information about the bridge would be much appreciated, so that we can close the book on the story of this bridge that had once been an important crossing but became an unknown memory after 1987. The article and information about the bridge are available through bridgehunter.com, where you can place your comments in the section by clicking here. Yet, you can contact the Chronicles and John Weeks III using the contact details provided both in the Chronicles page here as well as here. The author wishes to thank Peter Wilson at Minnesota DOT for providing some important information and photos of this bridge. Height detector test: New innovation for high truss bridges? In light of the I-5 bridge disaster over the Skagit River in Washington State, whose cause was a truck hitting the portal bracing of the Warren through truss bridge, questions have flown around as to whether a witch hunt to eradicate them is worth all the billions of dollars to be spent, or if it makes more sense to restrict them further for a fraction of the price and if so, how? What about the usage of height detectors? This concept may be unusual to many engineers and politicians, but they are being used in many regions of the country today. This railroad bridge crosses Hwy. 93 and has provided numerous headaches for drivers for two reasons: 1. The hill leading to the underpass is steep and after going underneath the bridge, you end up on the Minnesota River bridge and 2. The underpass is too narrow and too low for trucks to pass, forcing many truck drivers to use the exit to the north of town (at Hwy. 112 and US Hwy. 169). As the railroad is very active on this line, state and local authorities for many years have tried to place warning signs on both ends of the crossing, even warning drivers from as far away as US Hwy. 169 to consider other options if their load is too wide or even too narrow. This concept was found just east of the interchange on Hwy. 93. How it functions is simple: if an overheight truck passes by the detector, an alarm will activate warning drivers of the danger ahead forcing him to change his course. A secondary alarm is activated warning police and other officials of the danger ahead so that they can act quickly and stop the person before reaching the underpass or bridge with a low clearance. Given the lack of ability of some drivers to pay attention to weight and height restrictions of many bridges in the country, with the resulting factor being damage or destruction of the structure, this concept may be the best solution to the problems involving bridges with these handicaps. With millions of bridges with height restrictions on America’s highways, the cost for replacing every single structure would be so exorbitant that it would put the entire country back into an economic recession that would be worse than the one we just saw recently in 2008/09. This is not counting the cost for environmental impact and mitigation surveys and the design of the structure. In Minnesota alone, at least two dozen of these bridges are still in operation on the state’s highways, many of which still have some years of service left, like the Hwy. 7 Bridge west of Montevideo. This Parker span has spanned the Chippewa River since 1959 and is in tip-top condition. 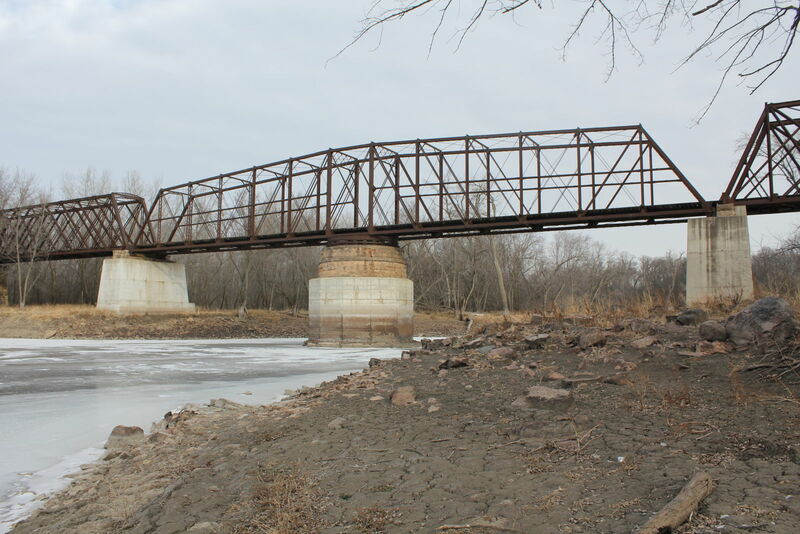 Do you think that height and weight restriction devices like the one in Le Sueur would be the most effective way to keep overweight and/or oversize vehicles from utilizing bridges with such restrictions? If so, how can we ensure that these people obey these restrictions without damaging or destroying the bridge? If it is not a viable solution, what alternatives would you recommend? You can place your comments here on this page, or on the Chronicles’ facebook or LinkedIn pages. By doing so, you might have some ideas to share with others, who might find them interesting and useful. Furthermore it will help many people who think replacement is the only option to look at more reasonable options which can save money and force many people to think common sense. Looking forward to your thoughts on this innovation, which seems to be a very effective solution to our height and weight problems on the roads. Note: The Skagit River crossing reopened to traffic on 15 September after crews replaced the temporary Bailey truss spans with concrete beams spans, built at the site where a section of the truss bridge collapsed. More information can be found here. The Minnesota River crossing featured a 700 foot truss bridge (400 foot Pennsylvania, 200 foot Parker and 100 foot Warren pony) built in 1923 by the Wausau (Wisconsin) Bridge and Iron Works Company, replacing an iron Post through truss bridge. It used to carry US Hwy. 169 before it was relocated to the west and served as a bypass in 1967. The bridge was replaced with a current structure- a concrete slab bridge- in 1984. A photo of the Post truss can be found here as well as the 1923 span (here).